The abundant northern and central regions of this sun-soaked European country sway to the melancholic melodies of Fado through mild winters and steamy summers. 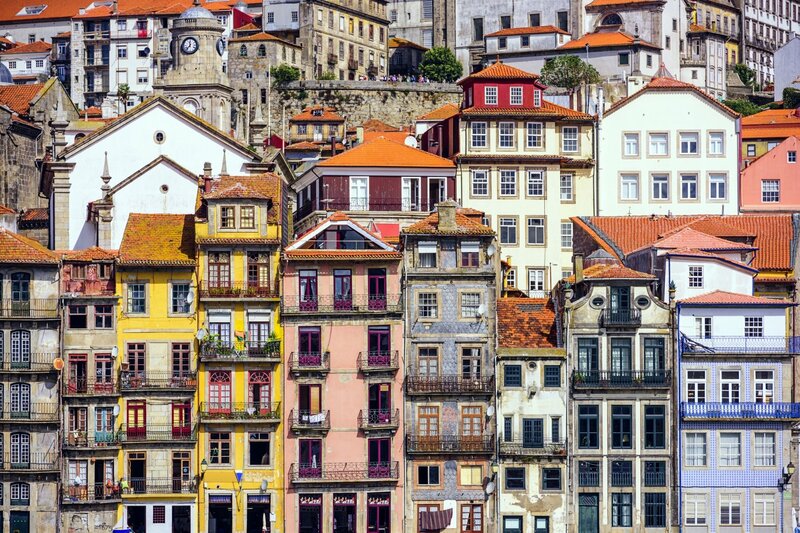 They are also as varied as the people who populate them, from the winding back streets and youthful urban energy of Lisbon to the crumbling charm and old-world feel of Porto. Step out into the countryside of Estremadura for rolling hills and some of the best home cooking in the country. Or wander through the majestic Serra da Estrela - Portugal's highest mountain range - and enjoy the surf culture of the Beiras region. 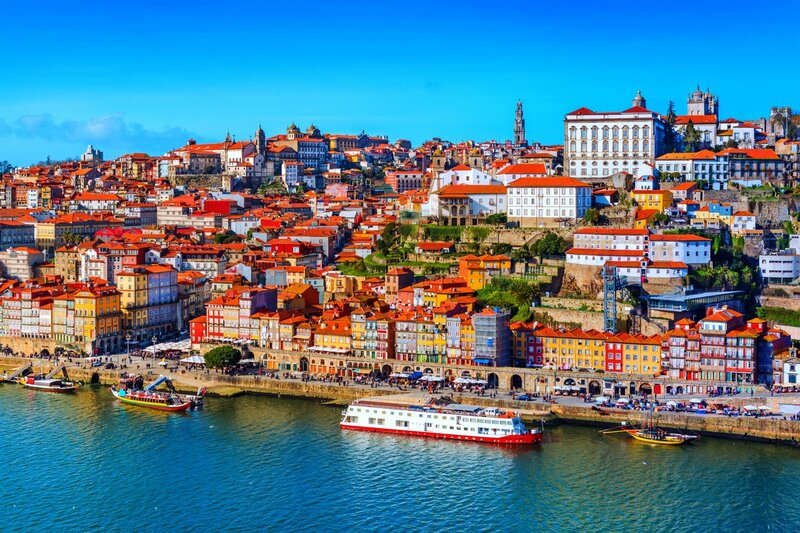 With a whole host of cheap flights now available to the coastal town of Porto, northern Portugal is slowly becoming more and more accessible to tourists. Once you're there, hire a car and take yourself into the rugged outlands of Trás-os-Montes - 'Behind the Mountains' - and explore the banks of the Rio Duoro, home to some of the world's oldest vineyards and dozens of pretty little villages ready to welcome you with open arms. +Living costs: generally lower than in the UK, although Lisbon, which is becoming more and more trendy, are slowly increasing in price. -As more and more destinations give way to tourism, the places once known for their peace and tranquility are slowly disappearing. The touradas, or bull races show a horse rider (not like a torero in Spain) following a bull and planting farpas into its shoulders. At the end of the race, the bull is taken out of the arena and never killed in public. The season runs from Easter to October. Fado, a sort of musical poem, has become both a noble and a popular form of music in Portugal. The word literally translates as 'fate' and 'sorrow'. Written in free quatrains and based on a tale or love story, the song is accompanied by acoustic guitars. Numerous taverns in Lisbon live to the rhythm of these musical laments at night time. A Portuguese meal often consists of soup or salad as a starter and a meat or fish dish for the main. In the north, the typical soup is caldo verde made with potatoes and cabbage sometimes served with chorizo. Fish is the basic staple eaten on the coast. Cod or bacalhau, which can be prepared in many different ways is the most popular dish but you will also find sole, ray, calamari, tuna and sardines. The many desserts, often made with fruits and nuts (figs, almonds and so on) are often flavoured with spices such as cinnamon. Find weekly weather forecasts for Northern and central Portugal . Different criteria make it possible to predict with precision the best time of year to go to Northern and central Portugal . A comprehensive weather score, made up of temperature indicators, bad weather predictions, sunshine levels and wind speeds, will allow you to choose the activities best suited to the weather conditions and therefore make the most of your holiday in Northern and central Portugal . New or old, azulejos, which are coloured tiles typical of the country, are the most famous souvenirs to take away with you. Local handicrafts, found at the markets, make authentic souvenirs: wickerwork objects, leather bags, embroidery and lace, ceramics and pottery. In Lisbon, the Lisboa Shopping Card entitles you to reductions of 5% to 20% in more than 200 shops in the districts of Baixa, Chiado, and on Avenidade da Liberdade. Available for 24 or 72 hours, you can purchase one from airports or tourist offices. Shops are open from 9:00am to 1:00pm and 3:00pm to 7:00pm on week days, and from 9:00am to 1:00pm on Saturdays. These opening hours do not apply to shopping centres, which are generally open every day from 10:00am to 11:00pm. Our journalists' reviews for you 41 hotels Portugal . Take a look at our hotels, their facilities or their value-for-money score according to your departure dates so that we can find the best offer to suit you Portugal . Book a hotel Portugal it's never been so simple !